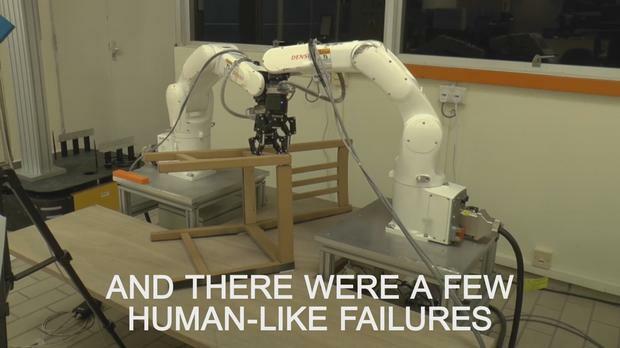 Here's a robot feeling the pain of a human - trying to assemble an Ikea chair. Nanyang Technological University in Singapore set the robot to task. And there were a few human-like failures. It took a few attempts, but after 20 minutes and 19 seconds, the chair was complete. Aoife Kelly A bizarre promotional video for a property in Sydney, Australia has gone viral. Aoife Kelly RTE's documentary about the phenomenon of moving religious statues which gripped the nation in 1985 entralled, delighted, and horrified viewers on Monday night.